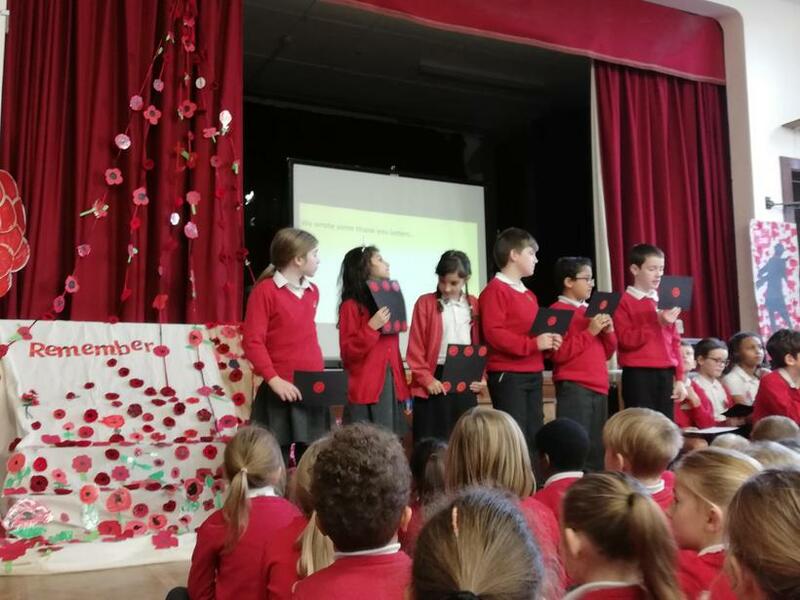 On Friday 9th November, 6JP lead a thoughtful and reflective class assembly to mark 100 years since the signing of the armistice that put an end to World War One and brought peace back to Europe. 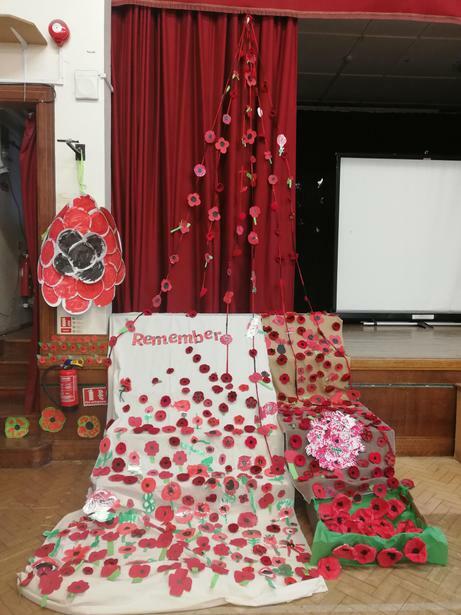 Children throughout the entire school contributed poppies they had made towards a moving display of poppies flowing down from the school stage. Peace poems were shared as were letters of thanks to the pioneers, artists, soldiers of the commonwealth, men, women & children who worked to win the war and improve society. At the end of assembly, a song of remembrance was sung before a two minutes silence was held. Scroll down to view some photos and examples of 6JP's poems and letters. Peace is hiding away from all noise of the world. Peace is a yummy slice of cake filling up your tummy. Peace is caring for the environment and all living things. Peace is when bombs don’t drop and wars stop. Peace is when the world is united not divided. P is for prodigious: how prodigious it would be to achieve global peace! E is for empathy: empathy that helps to keep everyone happy and have friends. A is for appreciation: appreciate our differences, diversity and the world we share. C is for candle: let hope be a candle that lights the way to peace. E is for education: we must learn from history and build a better future. Peace is when all the pizza slices are sized the same!